(a) You pose an immediate threat with a spanner within five yards of you, so instead you promptly and correctly take the bike to your nearest workshop. (b) The oil stains from last time didn't come out of the dining-room carpet quite as well as you promised your partner they would. (c) You're too busy updating Facebook with pictures of your new mountain bike and the words "Dialling in my epiiiiiiiiiiiiiiiiiic new ride. Boom." (a) A five-year-old Ford Focus. Why? (b) Worth less than my bike. (c) History. 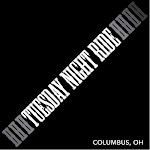 See you at the Critical Mass ride? (a) You swerve, and feel a bit shaky at the next lights – the poor geezer looked as terrified as you. (b) You stop, swear loudly and shake your head in a way that you just know shames the driver and every road user within half-a-mile. (c) You high-five yourself that you turned on your helmet-cam before setting off. That old git's face is gonna be all over the web once you get this clip up on Twitter.